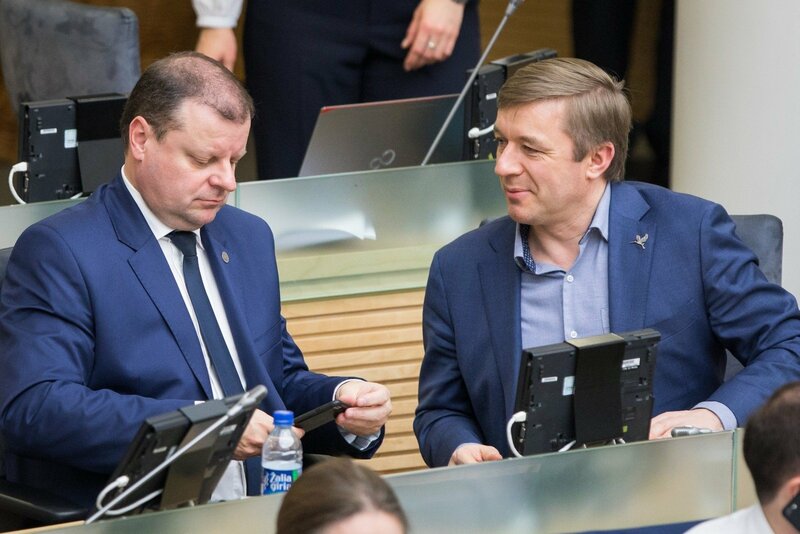 Potential voters rewarded the ruling Farmer Greens for observed advantages, however its delegated Prime Minister Saulius Skvernelis has been punished for unfulfilled expectations. According to a survey commissioned by the Delfi news portal on 16-24 November, the greatest shift in party ratings is observed in the evaluation of the Lithuanian Farmer and Greens Union's ratings. In October it would have received support in the nearest Seimas elections from 17% of respondents, while in November – from 19.4%. Looking at the long term perspective it can be seen that the trends remain the same, for example the party's ratings in June were 17.8%. "We now see something of a jump up. It could be encouraged by positive messages sent to certain groups, for example pension raises, increases in the untaxed income size, raising the minimum monthly wage. We should wait and see in a few more months whether the trend will continue," Mykolas Romeris University political scientist Rima Urbonaitė said. Comparing to the example of Naglis Puteikis' Lithuanian Centre Party, she explained that the trends of rating increase do not always remain. After passing the 5% vote barrier in October, this party's ratings were observed to only be 3.3% in November, similarly to June. The Homeland Union – Lithuanian Christian Democrats are gradually raising their ratings. In November it was recorded to be 20.4%, in October – 19.1%, however in June it was only 15.6%. "This is no massive spike, however the shift has stepped out of the error margins and it is clear that the party is gradually increasing its ratings. The current 20.4% rating looks fairly good, considering that overall parties struggle to exceed 20% ratings in general," R. Urbonaitė said. The Lithuanian Social Democrat Party's ratings increase over the month is only 0.8%, totalling a rating of 8%in November. In June it was 12.8%, which means a decline of 4.8% over this period. "Gintautas Paluckas' Social Democrats are almost invisible after leaving for the opposition. Neither do we see G. Paluckas in the public sphere, the scandal ended and interest in G. Paluckas ended as well, but he is not creating any new basis to speak to him and take interest," R. Urbonaitė said. The Liberal Movement and Order and Justice Party ratings changes were insignificant. 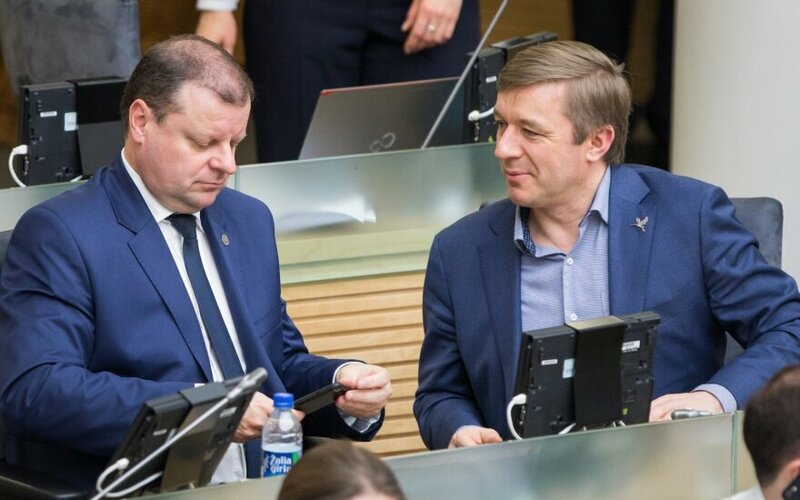 Prime Minister Saulius Skvernelis' ratings shifted by 3% over the past month, from 22.2% to 19.2%. Compared to June data, when the head of cabinet had ratings of 27.3%, the decline reaches 8%. "This is already a significant decline. This was due to escalated problems regarding lecturer and doctors' wages, S. Skvernelis' very curt statements. However this rating could also grow in the future," R. Urbonaitė said. She also observed that Conservative leader Gabrielius Landsbergis, who is in second place, has more than twofold lower ratings. G. Landsbergis had the support of 9.4% of voters in November, while in October – 8.1% of respondents. The shift since June has been statistically insignificant – 1.2%. The political scientist highlighted that the people remembered Social Democrat Vilija Blinkevičiūtė, whose ratings rose from 4% in June to 8% now. "Most likely she is still associated with social protection," R. Urbonaitė said. Economist Gitanas Nausėda's ratings over the same period have also risen twofold – from 2.9% to 5.6%. "He was very prominent in the public sphere," R. Urbonaitė explained. The rating of cabinet confidence has not changed statistically significantly over the month. Positive or likely positive ratings for the cabinet were given by 34.3% of respondents in November, while in October – 32.8%. Negative or likely negative evaluations came from 59.6% of respondents compared to 62.8% in October. The portion of unsure respondents changed from 6.1% to 4.4% over the month. "Now 30.8% of respondents evaluate the cabinet likely positively, while before it was 25.2%. The number of purely negative evaluations declined by near 5%. The ratings are fairly stable. But that the balance is negative, that's usual in Lithuania," R. Urbonaitė said. The research error is 3.1%.